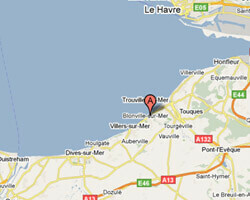 Located close to Deauville, Bénerville has attracted many celebrities including Yves St Laurent. The village is overlooked by Mount Canisy that offers beautiful views of the Côte Fleurie and the Pays d'Auge. At the seaside there is a beautiful sandy beach, quieter than in Deauville. 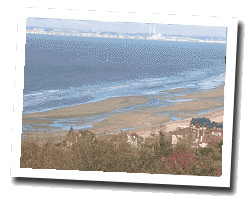 In Bénerville enjoy a seaview holiday rental. House 6 rooms 250m2. terrace with barbecue. House in Benerville-sur-Mer, Lisieux area. Super renovated cottage for up to 8 people, 4 bedrooms, 3 bathrooms, Jacuzzi. 4 Bedroom(s), 4 double bed(s). short stays possibility. Final cleaning : 150 €. Price from 2000 € to 4250 €.